When I sat down to watch this movie, I had horror on my mind although it turned out to be more of a throwback style psychological thriller complete with some seriously dysfunctional family drama. That being said, there were still some elements of horror woven in and the movie is still very creepy and has a dark, Gothic feel which gave it a nice variety overall. The movie's primary focus is on lead character Qi'an who is played by Zitong Wu and is sort of the Alice of the story as she goes deeper and deeper into this mysterious world. First time feature director Yixi Sun fills her movie with lots of dark imagery and plays a lot with contrasting visuals depending on where or when the characters are at. In the current time, colors are muted to the point where it almost looks black and white while flashbacks that take place in the same space are filled with light and color to emphasize the contrasting times. 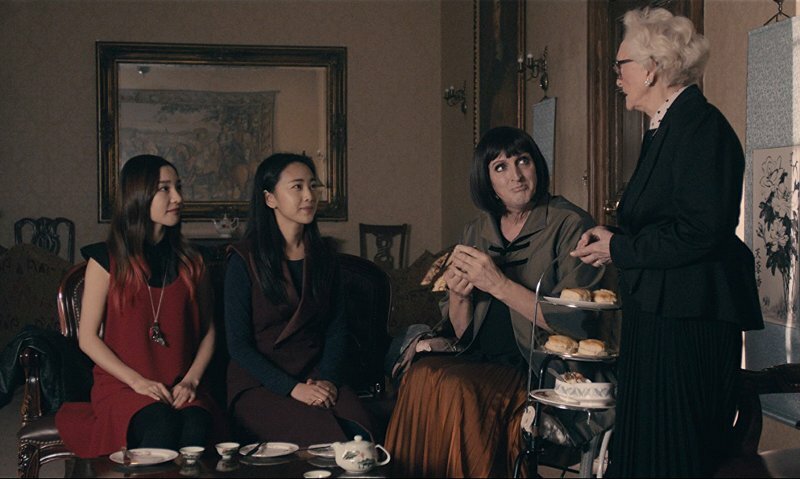 The director slowly reveals layers of history with the help of flashbacks and supporting characters designed to provide exposition without getting in the way of moving the story forward. 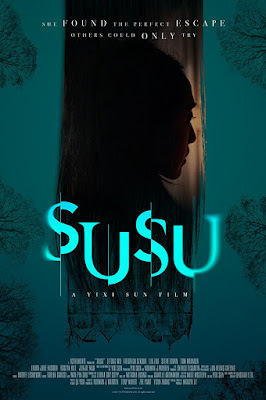 Susu works great as a dark crime thriller and the elements of horror add a level of unease that is very effective. This is a very good first effort from writer and director Yixi Sun and I am looking forward to seeing what she has in store for her next project.